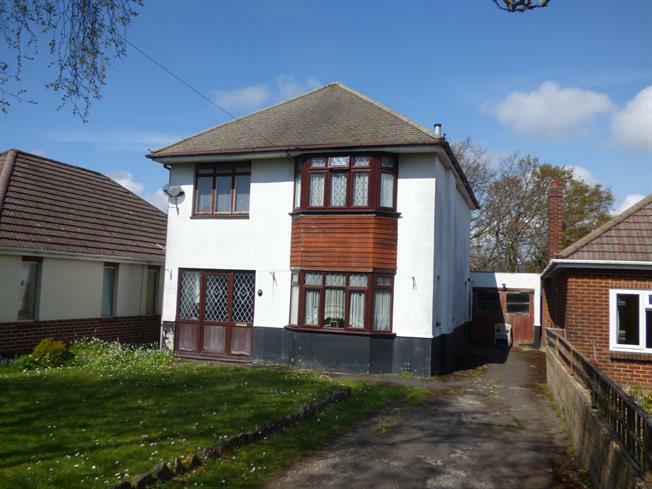 4 Bedroom Detached House For Sale in Bournemouth for Asking Price £389,950. Offered for sale is the extended four bedroom detached family home requiring some modernisation situated down a private road in the sought after Moordown location. The accommodation comprises four good sized bedrooms, lounge, separate dining room with access to the rear garden, kitchen/breakfast room, ground floor cloakroom and family bathroom. The property occupies a plot with good frontage and rear garden, driveway providing off road parking for several vehicles and a garage.